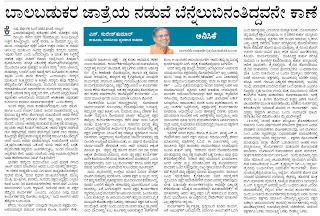 'Karyakartha' of Political Parties who is supposed to be their backbone is fast losing his importance in the present murky 'political Setup'. "Followers" are eclipsing "Karyakarthas" while the latter's importance really matters at any given point of time. Hence the gap between the politicians and the common man is widening like never before. Before it spells doom for the Political Parties, its high time, they woke up to the reality and nurture this prized possession. 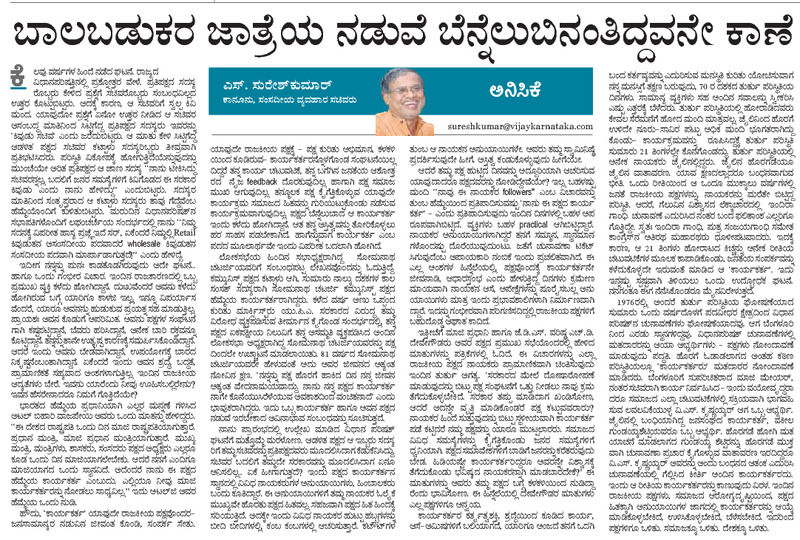 Pls read my write up appeared in today's Vijay Karnataka. I would be keen to know your comments. Thanx a million times for this article! Please address this to Mr.Nithin Gadkari and also Mr.Eshwarappa.